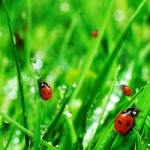 Beneficial garden ladybugs for controlling pests in your garden are the most popular and widely used beneficial insects for commercial and home use. 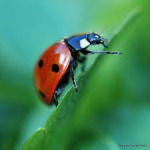 Ladybugs are capable of consuming up to 50 to 60 aphids per day but will also eat a variety of other insects and larvae including scales, mealy bugs, leaf hoppers, mites, and various types of soft-bodied insects. The Praying mantis is a most interesting and enjoyable beneficial insect to have around the garden and farm. 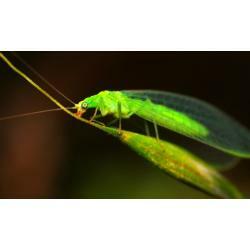 It is the only known insect that can turn its head and look over its shoulder. Mantis lies in wait for their food and when close enough, snap it up with a lightning movement of their strong forelegs.